Over the course of his five-decade career, Texas-born Donald Ray Johnson – Grammy Award winner and five-time Maple Blues Award nominee - has spent a lifetime entertaining fans in small intimate clubs to large international stages at the far reaches of the globe (Japan, Morocco, Scotland, England, France, Spain, Belgium, Austria, Germany and SE Asia to name a few) and the most prestigious venues such as New York’s Madison Square Gardens and Chicago’s Soldier Field. As a solo blues and R&B artist, Donald Ray has recorded seven widely acclaimed albums which highlight his song writing talents and showcase traditional, contemporary and gospel influences. His rich baritone voice has wowed fans of all ages throughout his storied career as both a recording artist and performer. His reputation as an outstanding live performer encouraging his willing audience to sing “Little Red Rooster”, or sharing his pain and suffering in the haunting version of “A Change is Gonna Come”, Donald Ray leaves his audiences cheering for more! Nestled between a bend in the Garonne River and the mighty Canal du Midi sits Toulouse, France and a two-hundred-year old stone farmhouse which was the setting for an intimate recording of his latest project “Bluesin’ Around” with the Gas Blues Band lead by “Gas” Gaspard Ossikian and Pierre (Little Peter) Cayla sharing lead on guitar. The album is a compilation of eleven tracks covering originals like the funky “Should Have Been Gone” and covers of such classic blues songs as Joe Louis Walker’s “Bluesifyin’” and Willie Dixon/Howlin’ Wolf’s “Ain’t Superstitious”. Donald Ray and the Gas Blues Band have toured extensively across Europe over the past twelve years. This collaboration shines through as the band provides the tone and depth to Donald Ray’s soulful voice. The recording sessions were filmed by a French videographer and friend, Thibeault (Tibo) Degraeuwe. Please open the attached bilingual documentary link to hear Donald Ray and the band’s thoughts on this new project. The story of Donald Ray’s early life is woven through the cotton fields of central Texas as a young child to the Palladium in Bryan, Texas where the 13 or 14 year-old, after loading gear, would secretly hide side stage and wrap himself in the stories and sounds of the blues legends like Freddie King, Albert Collins, Johnny Copeland and Classie Ballou. At age 14, Donald Ray began playing drums professionally at local juke joints (with pianist Nat Dove, organist Joe Daniels and guitarist Lavernis Thurman), and at live radio shows on borrowed drum sets. Two naval tours on the Bonhomme Richard during the Vietnam War gave him the financial means to buy his first drum kit. After being honourably discharged from the service, Donald Ray relocated to San Diego where he met several Los Angeles-based artists such as Lowell Fulsom, Bobby Womack and Pee Wee Crayton. Early in 1970, he began playing with the late Phillip Walker and this relationship lasted for nearly forty years. 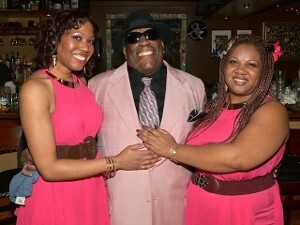 In 1971, after relocating to Los Angeles, Donald Ray joined the Joe Houston band, backing some of the West Coast’s top blues artists like Big Joe Turner and Big Mama Thornton. A chance meeting with Songwriter/Producer Perry Kibble who was forming a new band, a Taste of Honey, featuring the guitar and vocal talents of two young women, bassist Janice Marie Johnson and guitarist Carlita Durham gave Donald Ray his first taste of true international stardom touring internationally with the Commodores, Teddy Pendergrass, The Isley Brothers, the Dramatics, and Ashford and Simpson. The release of A Taste of Honey’s first album and single garnered the band their first Grammy nominations. 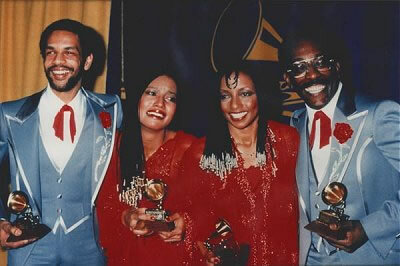 Under the glittering lights of the 1979 Grammy Awards at the Shrine Auditorium, Donald Ray and the band were awarded a Grammy as “Best New Artist” (the first African American band to ever win the Best New Artist award). A Taste of Honey also performed their wildly popular hit song “Boogie Oogie Oogie” live that evening. The band disbanded after only a few albums, and Donald Ray struck out on his own as a bluesman. Finding a home within the Southern California blues scene, Donald Ray continued playing drums with Phillip Walker, Big Mama Thornton, Smokey Wilson and various local artists. After completing a European tour with Phillip Walker, Donald Ray was invited by his long time friend, pianist, Dale Rene to join him in Montana; only hours from the Canadian border and the city he now calls home, Calgary, Alberta. In 1996, Donald Ray stepped away from the drum kit and became the lead singer for the House of Payne, lead by drummer Jimmy Payne which soon lead to Donald Ray becoming a true solo blues artist. And as we say, the rest is history! Over the course of these years, the questions remain the same. “How does it feel to have the blues?” “How does it feel to perform the blues?” and, “Are the blues really blue?” to name a few. The answers to these questions and many more can be found in Joe Louis Walker’s song “Bluesifyin’” which can be found on Donald Ray’s current CD “Bluesin’ Around”. Paying homage to one of the greatest musicians of all time, the Ray Charles Tribute Orchestra is a nine-piece ensemble performing the hits penned by Charles himself. The group was formed by John Gray, a bassist and band leader on the Calgary jazz scene, and includes some of Calgary’s finest musicians who recreate the one-of-a kind sound of Ray Charles. Donald Ray was a perfect fit for this new project as his rich baritone vocals bring the R&B and soul sound to the ensemble. 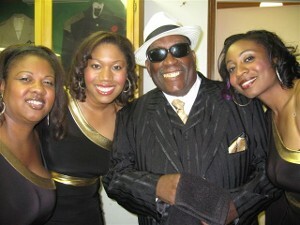 The group boasts a solid rhythm section, a killer horn section and two backup singers known as the “Donald Raylettes”. 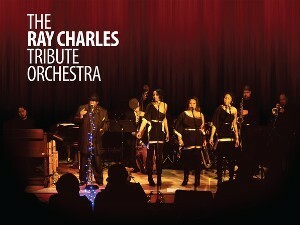 The Ray Charles Tribute Orchestra tours across Alberta and its extensive repertoire has captured audiences whose tastes run from Jazz to Blues, Country, Soul, and R&B.